There are more than 5,000 Uzbek militants from the Islamic Movement of Uzbekistan (IMU) hiding in North and South Waziristan, the Pakistani newspaper Daily Times reported on 13 September It quoted the FATA Additional Chief Secretary Habibullah Khan who asserted that these militants were known to travel through Balochistan. He also said there was evidence that the USA, Israel and India were involved in nurturing the insurgency in FATA. At the same time Senator Prof. Muhammad Ibrahim Khan revealed that Uzbek militants could also enter Waziristan through the international Islamabad airport. He claimed that FATA administration has been well aware of this. The information agency Ferghana.ru has interviewed Senator Ibrahim Khan on these and other issues. Senator Prof. Muhammad Ibrahim Khan has been a member of the Pakistan Senate since 2006; a member of the standing committee on Education and Science and Technology; a member of the Standing Committee on Law, Justice and Human Rights and Parliamentary Affairs, and Vice President of Jamaat e Islami (Pakistan). Mr. khan holds an MA degree in Journalism, another M.A. in Political Science and an L.L.B. He has also been a Lecturer in Journalism from 1982 to 1985. “Militancy must be condemned and rooted out wherever it exists in the world”, Senator Ibrahim Khan said. “Pakistan has been facing extremism and terrorism for a long time as various national and foreign militant groups were active here (mainly in North West Frontier Province). They not only destabilize Pakistan but also cause severe damage to the peace of the entire region”, the Senator said. Ibrahim Khan said that the biggest group of foreign militants operating on Pakistan’s soil is believed to be that of the Uzbeks, who are associated with the Islamic Movement of Uzbekistan (IMU), headed by Qari Tahir Yuldashev. By a rough estimate, more than 4800 Uzbek militants have strong-holds in different localities in “Wana” North Waziristan enjoying close association with militants of Mehsud Tribe. “Uzbek militants are members of the Islamic Movement of Uzbekistan, which was formed in 1998. The group operated from bases in Tajikistan and Taliban-controlled Afghanistan before fleeing to Pakistan after US-led forces launched their campaign in Afghanistan. Since then these warriors have been a constant threat to the nation”, he said. “The IMU has set up training camps in Waziristan and has been linked to groups fighting the Pakistani security forces and crossing over to Afghanistan. Apart from Uzbek there are other foreign militant groups such as networks of isolated Chechens, Libyan Islamic Group and Chinese Uighar militants from the East Turkestan Islamic Movement (ETIM). Members of ETIM are largely believed to be dormant in the area”, the senator said. Unveiling the history of the Uzbek militants in Pakistan, the Senator explained that Uzbeks had been operating in Pakistan with their base in the lawless region “Wana” and have had a close association with Wana’s main militant leader Commander Nazir since their arrival. However, due to some differences between commander Nazir and Qari Tahir Yuldashev, the Uzbeks were cornered in and driven out by Commander Nazir from the Waziri territory last year. “After facing the wrath of Commander Nazir, the Uzbeks had to flee from “Wana” and were given refuge by the then leader of Mehsud tribe – Baitullah Mehsud”, Ibrahim Khan said. “We have information that the Uzbek militants are on good terms with the new leader of the Mehsud militants even after the alleged death of Baitullah Mehsud”, he said. “At first the Uzbek militant were supposed to be concerned with the Islamic Movement of Uzbekistan. However a message by Yuldashev through a DVD, calling for attacks on Pakistani security personnel made it clear that his movement was not just about Uzbekistan but was working on al Qaeda’s overall goal”, Senator Ibrahim Khan said during interview. According to my information (I also have proof with me), Ibrahim Khan said, the Uzbek militants have been frequently traveling between Islamabad and Uzbekistan in the disguise of traders or merchants. Interestingly, these militants have been using various airports in Pakistan for their departure and arrival. In a fresh episode, there have been confirmed reports that four commanders of the Uzbek militants reached Pakistan through Islamabad Airport and hired a taxi from Islamabad to Mirali (a town in North Waziristan), the senator made a stunning revelation. During the interview the senator was harsh with the personnel of the Federal Intelligence Agency of Pakistan for failing to recognize the Uzbek militants who were coming in various disguises. Ibrahim Khan said it was the prime responsibility of the both the governments of Uzbekistan and Pakistan to make a joint strategy to cope with these militants. As far as Pakistan is concerned its security forces have been busy in quelling militants from the region, however it needs international support to do the same in a better way. Ibrahim Khan told the correspondent that Uzbekistan has asked Pakistan to extradite a number of suspected Al-Qaeda fighters of Uzbek origin who have been captured during the operation in Wana. Those Uzbeks captured in Pakistan in recent days are said to have joined the Al-Qaeda network based in neighboring Afghanistan in 1990. “Taking into account the arrests of Central Asians and intercepted radio conversations in Chechen and Uzbek, regional experts believe the fighters may have been defending a Central Asian militant leader”, he said. “Their movements were not restricted to the tribal belt as they also traveled to the Balochistan province. 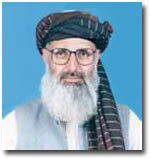 We have evidence of Uzbek militants involvement in the unrest of Balochistan”, Ibrahim Khan said. He added that many Uzbeks living in Islamabad\'s suburbs have connections with the top leaders of Uzbek militant groups and many of them had been arrested in these areas. Senator Ibrahim Khan mentioned that in July 2008 authorities presented a report to Prime Minister Yousuf Raza Gilani providing the latest figures on foreign fighters present in the tribal areas of Pakistan. Roughly their numbers were more than 8,000 and 4,800 of them were believed to be Uzbek. The same facts and figures were presented at a special cabinet briefing last year. “A few years ago Pakistan was the safest route for foreign fighters to enter Afghanistan but now they rarely use this old route. Most of them come as tourists and traders directly from Dushanbe, Baku, Istanbul, Dubai, Sharjah, Delhi and Frankfurt to Kabul by different airlines. Many Afghans in Kabul, Karachi, Dubai and Delhi are working for them as travel agents. It is also very easy to make a new Afghan passport for them in Kabul”, Khan revealed. “While some Taliban leaders in North Waziristan have started discouraging foreigners from crossing the border, some in South Waziristan are not ready to listen to the Pakistani government. Their defiance has created a lot of confusion and resentment in Islamabad because the Pakistan government is already under lot of pressure to use heavy force against the Taliban”, Ibrahim Khan said. Quoting his sources, Ibrahim Khan claimed that the number of foreign fighters began to increase in 2007. The main incitement for those young militants from the Middle East, Central Asia and Europe was the increase in the number of US troops in Afghanistan. “A lot of young Muslims are coming to Afghanistan to fight the US troops who, they believe, have come to Afghanistan not to fight terrorism but to occupy more Muslim lands, including Pakistan, and to plunder their resources”, the senator said. And this is exactly the reason of current activation of IMU, Ibrahim Khan explained.